The American Queen Steamboat Co. will add a third vessel to its river fleet in 2017. The 340-foot American Duchess is slated to launch on the Mississippi River next June. The company’s flagship vessel, the American Queen, is entering its sixth season cruising the Mississippi. The line expanded in 2014, adding the American Empress in the Pacific Northwest. Now in 2017, American Queen will grow again, converting a former gaming vessel purchased from parent company HMS Global Maritime in August into the all-suite Duchess. The river cruise line plans to gut the ship, rebuilding the interior hotel and adding a working paddlewheel. The four-deck Duchess will carry 166 passengers in 83 suites, including three 550-square-foot owner’s suites and four 550-square-foot loft suites. Other cabin categories will include deluxe suites (450 square feet), outside veranda suites (240 to 330 square feet) and interior staterooms (180 to 200 square feet). Compared with the American Queen, Sykes said the new ship will offer a more elevated experience. Two onboard dining venues will be included in the cruise fare, along with beer and wine at dinner, onboard entertainment and shore excursions. The Grand Dining Room will have open seating and be capable of accommodating the entire ship’s capacity. 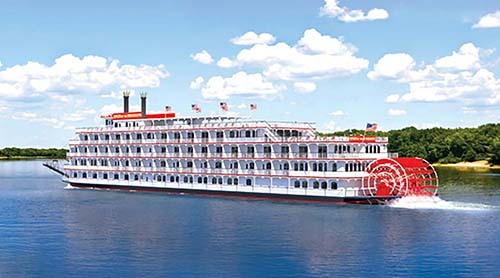 American Queen plans to operate the American Duchess year-round on the upper and lower Mississippi. Its voyages will include weeklong roundtrip sailings out Nashville and nine-day voyages between Memphis and New Orleans, and St. Louis and Ottawa, Ill. (about 83 miles from Chicago). The Duchess will also overnight in Nashville, a first for the company. Prices for most sailings start at $2,999 and top out at $9,499 for one of the three owner’s suites. The Duchess will begin accepting bookings for the 2017 season on Oct. 1. Viking Cruises quietly turned an important corner last week – one that signals the company may be on the cusp of significant growth. The transition came through a vehicle called MISA Investments Ltd., which received a $500 million equity infusion from TPG Capital and the Canadian Pension Plan Investment Board. Few in the cruise world recognize MISA Investments as the parent company of Viking Cruises. I know I didn’t. But after the deal, 17% of MISA will be owned by Canada’s retirement plan and TPG. The significance of that is that until now, Viking has been a privately held company, financed primarily by European banks. The new financing represents Viking’s first institutional equity. There’s only so far private money can take a cruise line. With the notable exception of MSC Cruises, big cruise companies turn big when they gain access to other people’s money. The latest example of that was Norwegian Cruise Line Holdings. It became publicly-held in 2013, but before it went public it benefitted from private equity interest as well. And TPG Capital was one of two funds (along with Apollo Group) to put money into Norwegian. Their dollars paid off debt and financed new ships at Norwegian, which led to higher cash flows, taking the company to its long-anticipated public offering. Now TPG could be setting the stage for something similar at Viking. “Having been a long-time investor in the cruise industry, we see Viking as a market innovator that has reimagined how people explore the world, with an iconic brand and strong product offering that has significant growth potential,” said Paul Hackwell, principal at TPG, in announcing the investment. In short, one of the most interesting stories in cruising just got more interesting. For some, ecotourism means a group of millennials climbing Mount Everest; for others, it’s a month-long safari tour of South Africa—but for most, it’s a natural integration of the unique environmental and cultural aspects of any destination into a vacation experience. While Maggard’s challenges for that trip were very specific, other aspects of incorporating ecotourism into family travel are more common. Here’s a look at some of the elements that need to be factored in when planning a family ecotourism trip. If the eco aspect is a major part of the trip, the accommodations and method of travel choices are key parts of setting the tone. 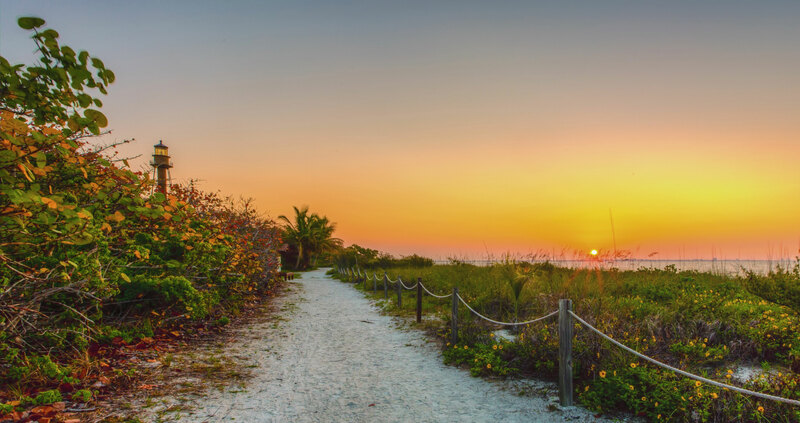 For accommodations, look for those that are certified green (standards may be set by a statewide entity such as the Florida Society for Ethical Tourism, or at the national level, like LEED certification in the U.S.) as well as properties that are members of ecotourism associations. Unless clients are literally just walking down their own street, there’s going to be some environmental impact from the mode of transportation. Train travel has less of a per-person impact on the environment, but its use is limited by destination choice. Air travel will leave the largest carbon footprint, although moves by the airline industry to make planes more fuel efficient (and more crowded) continue to bring down the impact. Bruno also points out that travelers can contribute to carbon offset programs and that TIES continues to urge airlines to make such programs more easily accessible. While there’s no age limit for ecotourism, some trips naturally lend themselves to older children. “If a family is considering a safari, I recommend waiting until the youngest child is about 10 so they can really participate in and remember the experience,” says Maggard as an example of a trip where age matters. And don’t forget multigen travel. Just as very young children add some constraints to the possibilities, so too might grandparents. But that’s certainly not always the case. Maggard cites a recent example where a grandmother was not only part of an ecotourism-focused trip, but the driving force. “She was hell-bent on showing her family that not everyone was as well off as they were,” says Maggard. And to that end, the eco-focused trip to Costa Rica, which included the grandmother, her son, his wife and the grandchildren, included a week of eco-opportunities, such as picking up garbage, recycling and hands-on community work, before a more leisurely stay at a high-end villa. Almost any kind of travel requires balancing disparate needs to some extent—desire vs. budget, activities vs. relaxation, time required to do a trip “properly” vs. available vacation time and so on. Many of these factors become even more exacerbated when children are involved. Here are some specific areas to be sure to consider. Know the children’s limitations: A 4-year-old can’t go ziplining and even a 7-year-old is not going to be able to do a full-day hike. Consider if all activities are physically possible, appropriate and desirable for the ages of the kids. “Sometimes we’ve had issues with families that have older children and one much younger child,” says Goldenberg. “In that case, we have to modify the activity or suggest splitting up for part of the day.” For example, can the older children and mom take to the zipline, while dad goes shelling with the younger children? Or can the little ones stay at a hotel kids center while the parents go deep-sea fishing? And if there’s really no good solution? “Sometimes we actually recommend holding off for a few years until the youngest are old enough to really enjoy and appreciate the trip,” says Goldenberg.